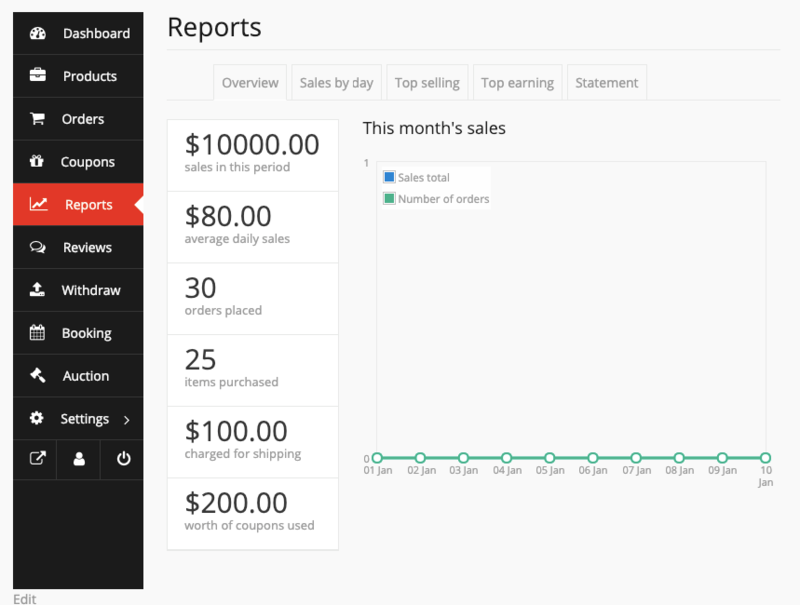 Sales Overview shows on the report page. 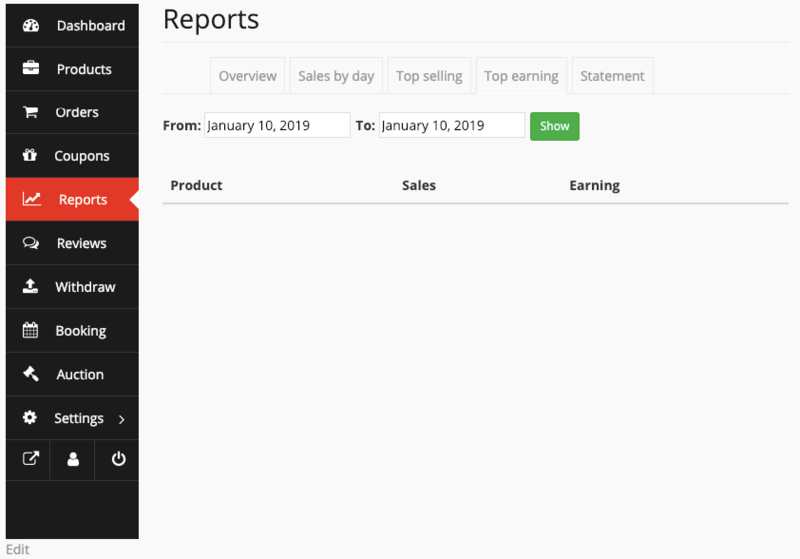 On the top of the report, there are some options by which seller could view his sales report total overview, by day overview, top sale product reports and top earner product reports. The seller could view his one day order in this option. 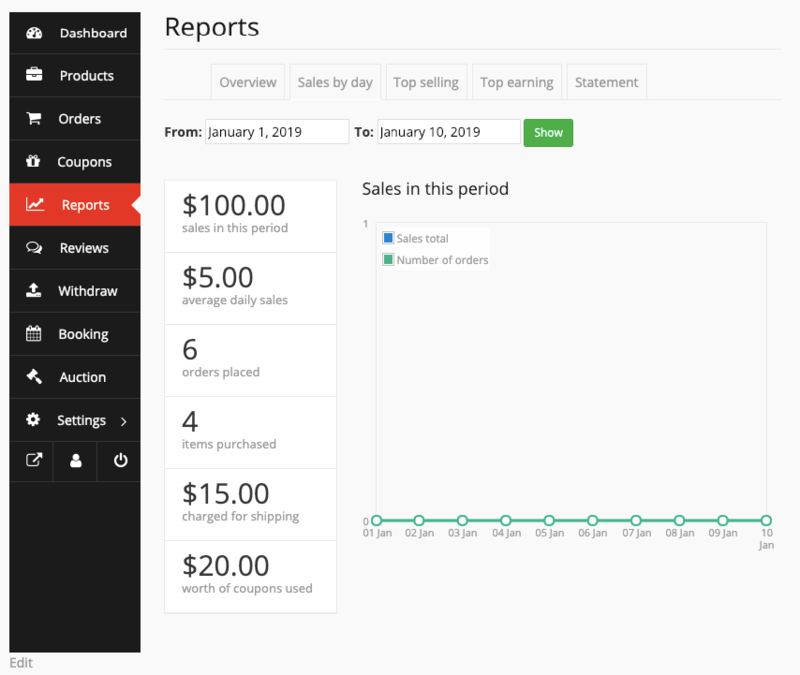 The report shows one day total selling total, the average, the total number of order, total purchased product number, coupon details, and one-day sales graph. In the option,top seller a seller could view his top-selling products and its total sale number with selling ratio graph line. The seller could view his top selling products total selling amount in the option,top earner. The option could view manually by date. 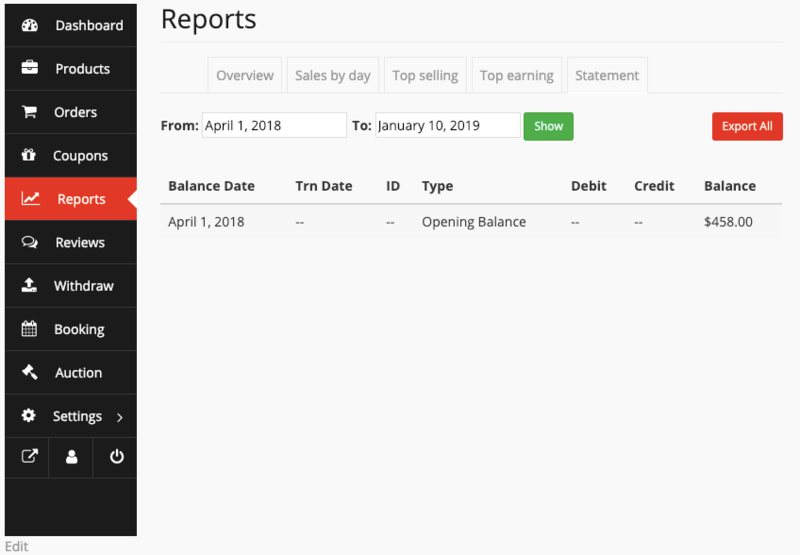 The statement will show up your transactions analyzing their debit-credit aspects. It will also demonstrate the transaction date, transaction id, Type and Balance or those transactions.